Huzzah for the Middle School Shakespeare Festival! 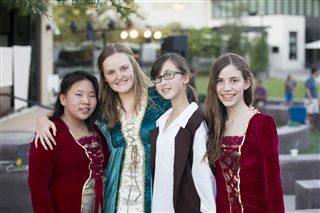 On October 25, the campus turned into a Renaissance fair for the first-ever Middle School Shakespeare Festival. Seventh graders showed their knowledge of the era by cooking fabulous food from the era, putting on shadow puppet theater and role playing con artists, servants and merchants. Eighth grade English classes put eloquence and passion into scenes from Romeo and Juliet. 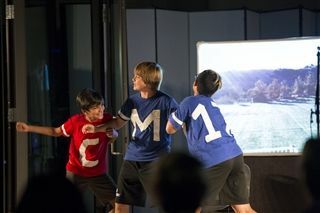 Each scene had its own distinct setting and theme, such as a football rivalry between Montague High and Capulet Academy, and Star Wars vs. Star Trek. Students thoroughly enjoyed the festival and plans have already begun for next year’s edition.